CS 3110 (formerly CS 312) is the third programming course in the Cornell Computer Science curriculum. The goal of the course is to help students become excellent programmers and software designers who can design and implement software that is elegant, efficient, and correct, and whose code can be maintained and reused. CS 3110 covers a broad set of topics, including: alternative programming paradigms, especially functional and concurrent programming; writing and using specifications; modular programming and data abstraction; reasoning about program correctness; reasoning about system performance; and useful and efficient data structures and algorithms. 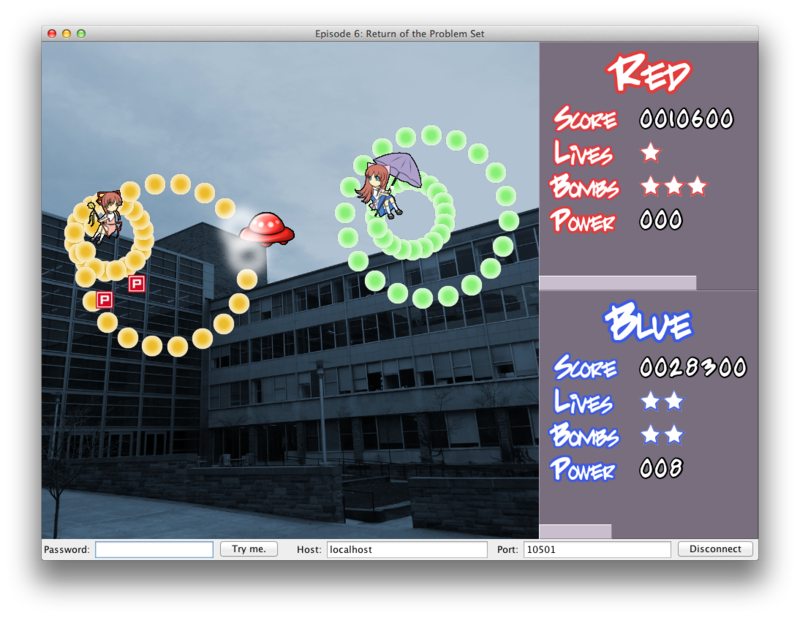 The course has often held a tournament at the end of the semester, in which student groups compete to produce the best program, usually one that played a game. This competition is not been a part of the official coursework, but students have nevertheless worked hard to win. Many of the games have involved teams of robots running a program written in a concurrent programming language, called variously RCL or CL. 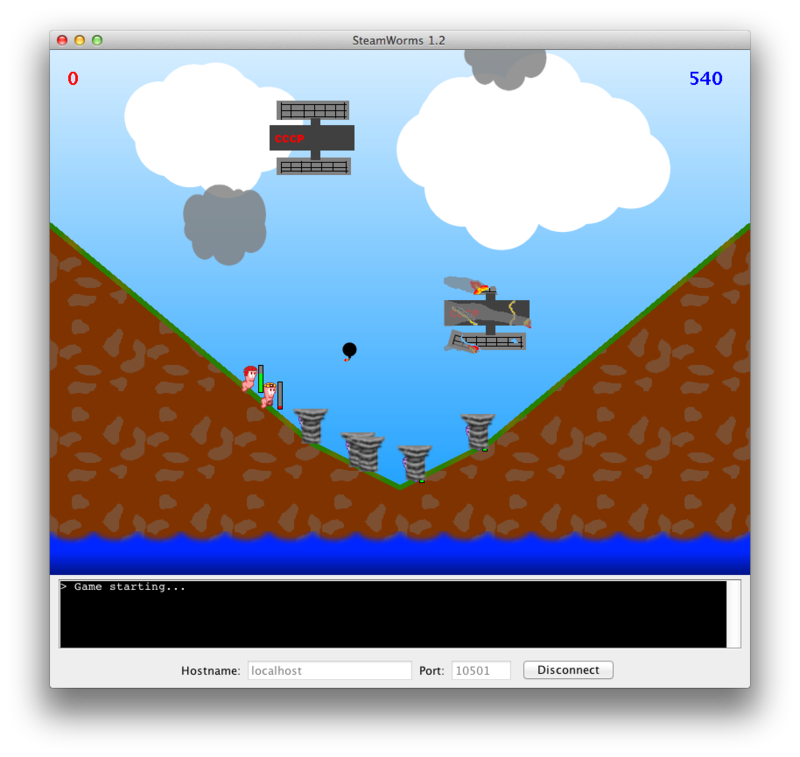 In an earlier programming assignment, the students made the interpreter for the concurrent programming language work. Keyboard Music Player: A virtual piano, featuring MIDI playback, scrubbing, soundpacks, a synthesizer, and visualization with a fast Fourier transform. By Stephen Buttolph, David Chu, Daniel Weber, and David Zhang. Settlers of Clarktan: A resource management and trading game based on a well-known German board game. By Esther Jun, Yuchen Shen, and Yishu Zhang. 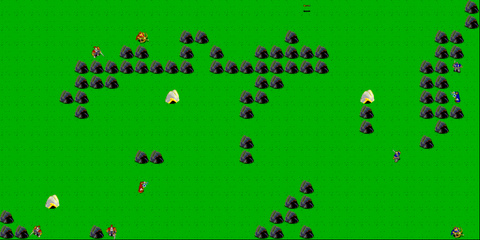 Legend of Zolda: The protagonist, Lonk, travels through maps, fends off terrifying enemies, and defeats the final boss to save Zolda and the world of Tomnjam. By Alexander Sabia, Julian Massarani, Mindy Lou, and Thomas Chen. CAMLWare: A functional hardware description language for digital logic with an OCaml interpreter that simulates the behavior of the circuit and an interactive GUI application that lets the user control the simulation. By Joseph Antonakakis, Natasha Armbrust, Celine Brass, and Reuben Rappaport. Mini Transport Tycoon: A real-time strategy game that involves building a transportation empire that consists of multiple markets and a variety of resources. By Jonathon Gibson, Maksis Knutins, Dan Liu, and Patrick Walsh. Cml Control: A git-inspired version control system, including branches and merging. By Logan Allen, Michael Gingras, Andrew Grossfeld, and Brandon Walker. 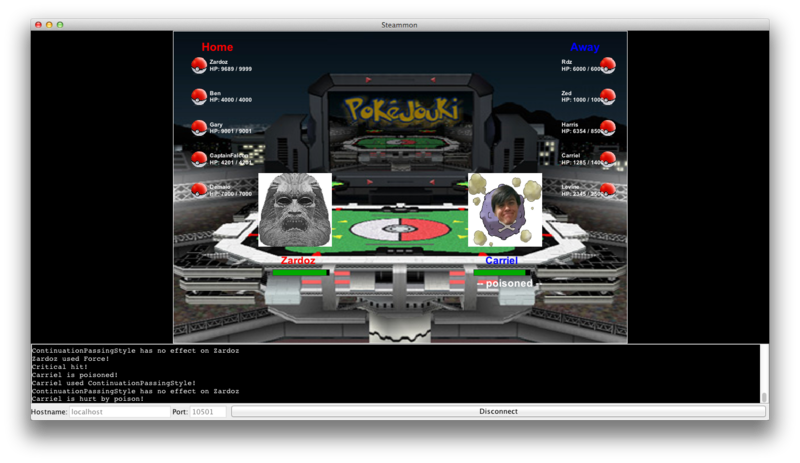 PokéSnowdown: A Pokémon Showdown spinoff with a single-player story mode; by Chirag Bharadwaj, Young Chan Kim, Nicholas Shieh, and Matthew Zang. Omacs: An extensible, customizable text editor; by Mustafa Ansari, Zander Bolgar, and Alexander Renda. 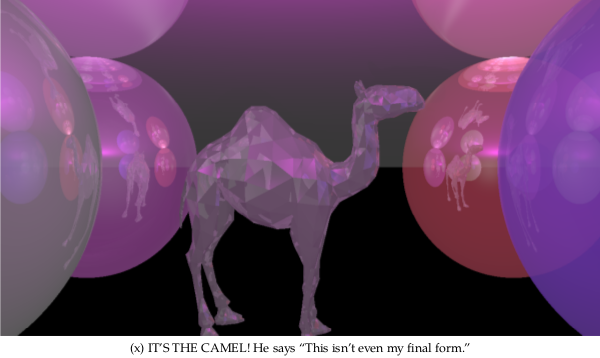 Wolfra.ml: A symbolic computation engine that implements operations from calculus and linear algebra; by Camille Amiri, Samuel Drucker, Jared Frank, and David Karabinos. Staff choice award: YoungCaml Search Engine; Guandao Yang, Jonathan Chan, Richard Wu, and Shiyu Wang. 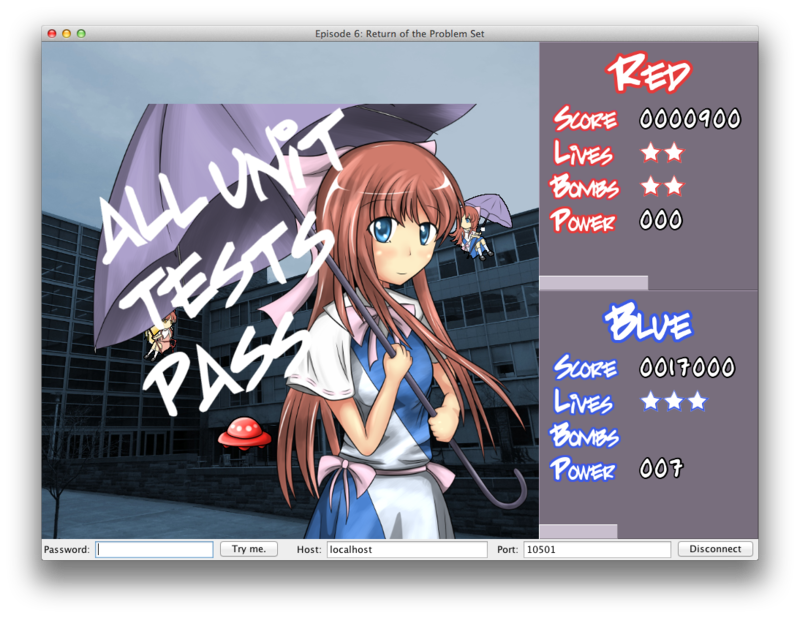 Gamers worldwide have been waiting for the third installment in the critically acclaimed PokéJouki series, and, thanks to the students of CS 3110, the release of PokéJouki Emerald was a resounding success! 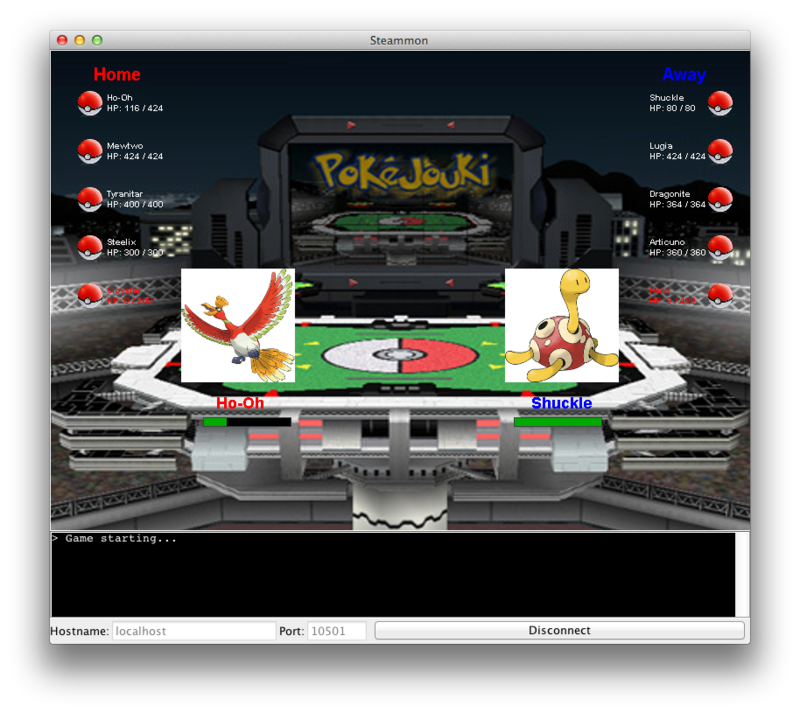 PokéJouki Emerald featured 135 new fantastical creatures, an assortment of new moves and techniques, and a completely rebalanced battle system that put your wits to the test. Settlers of Catan Gates Hall! 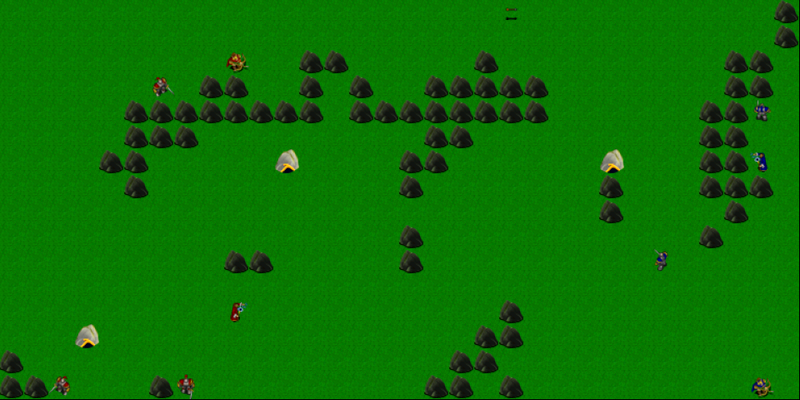 Bots competed for survival on a primitive island world (lovingly donated by a rich benefactor) divided into hexagonal segments. With nothing but sheep, grain, and rocks for currency, participant bots created deep networks of roads, populated the island with cities, and conducted maritime trade with the local pirates. Secret to success? Never accept a trade request! championbot, submitted by Aaron Rumack and Justin Hendrick. 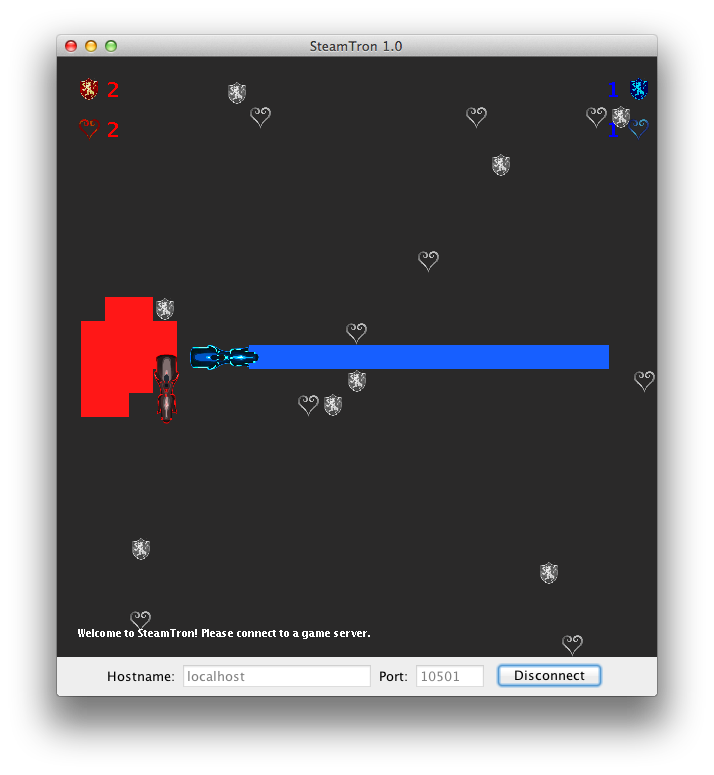 priority_bot, submitted by Humam Alwassel and Solomon Maina. hibot, submitted by Kavan Bhavin and Ryan Pindulic. robotBotratheon, submitted by Elise Cotton and Rachel Faust. 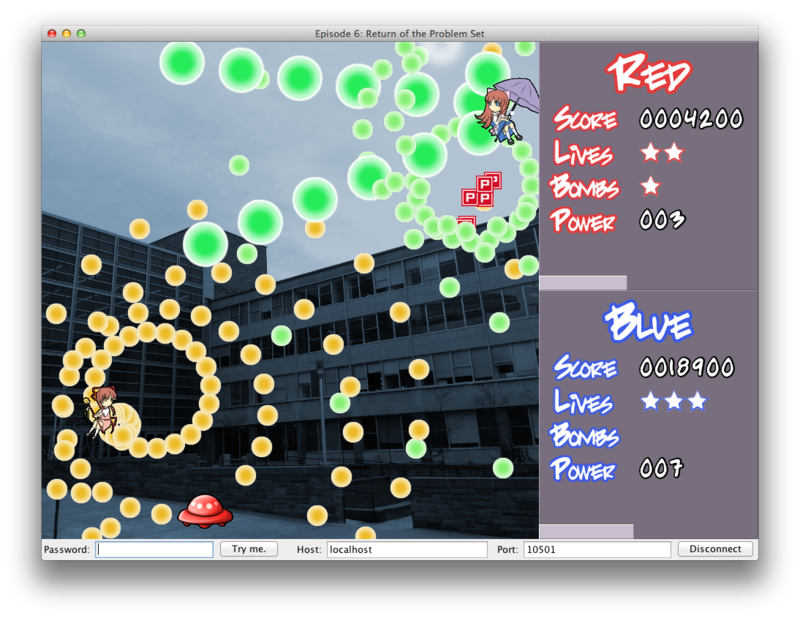 The long-awaited sequel to 2011's PokéJouki featured additional Steammon, more robust movesets, and a few easter eggs. The winning trainers were Michael Dougherty and Simon Li. Honorable mention goes to the legendary natebotster.ml. Steamworms had little to do with the beloved Worms franchise. To quote one student: "This isn't worms! 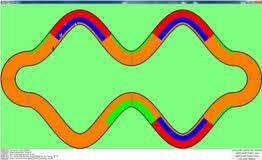 This is Halo except everyone looks like a worm." 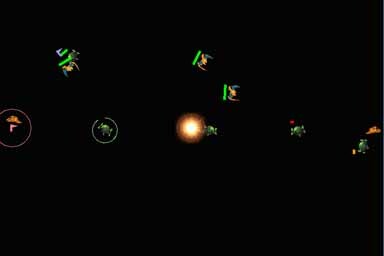 Worms crawled around firing rockets, lazors, and the all-powerful SteamBat™ in a real-time fight to the death. At the end of the night the survivors were Stuart Jackson and Ben Greenman. 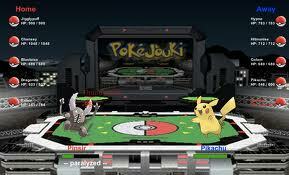 Contestants choose teams of five Steammon (our version of Pokémon) and do battle for supremacy. 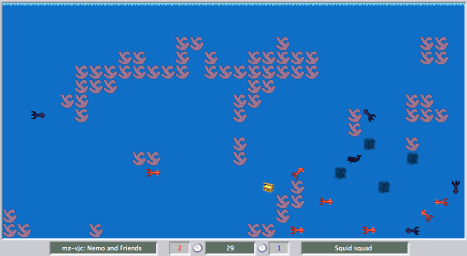 In this game, two bots controlling teams of fishes in a tank fight each other. The goal is to destroy the other team's fishes. There are four types of fishes, spawners, which create new fishes, carnivores, which grow by eating other fishes, petards, which can explode, and fishes that can create vacuum beams. The tournament winners were Hee Jung Ryu and Katie Lee Meusling. Our version of Mario Kart! Up to four competing racers navigate a closed track, picking up various items with special properties that can help them or hinder opponents, such as Pressure Mines, Steam Shells, Turbo Encabulators, Tesla Coils, and Armor. Racers control their acceleration around the board to choose an optimal path, avoiding high-friction areas and obstacles. Two teams fight for control of an area using steam-powered robots with a variety of weapons and abilities. The winning team was Kenneth Chu and Jun Hui Erh. 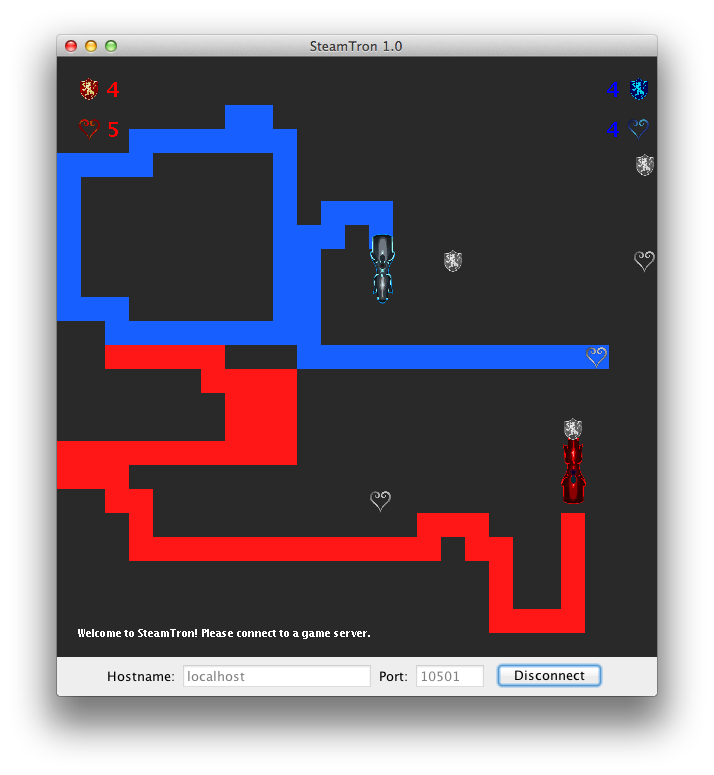 In this game, two steam-powered robot teams try in real time to capture each other's flag. Robots control their acceleration around the board, using a variable solar energy flux to recharge boiler pressure. Mines can be dropped to temporarily disable unwary robots that get too close. Robots are programmed using the CL language, which was made entirely functional this semester. A mailbox abstraction was introduced for communication between robot threads. The tournament was won by Lucas Waye and Ryan Musa. The game was a robot version of the board game Abalone, in which each piece was a separate bot. Bots could push the opponents around and off the board if they coordinated with each other. The winning bot team was by Jerzy Hausknecht. A two dimensional version of Quidditch. Teams of 5 try and score the quaffle in the goal and track down the snitch. The winning bot (named Tony) was written by Scott Rogoff and Rick Ducott. 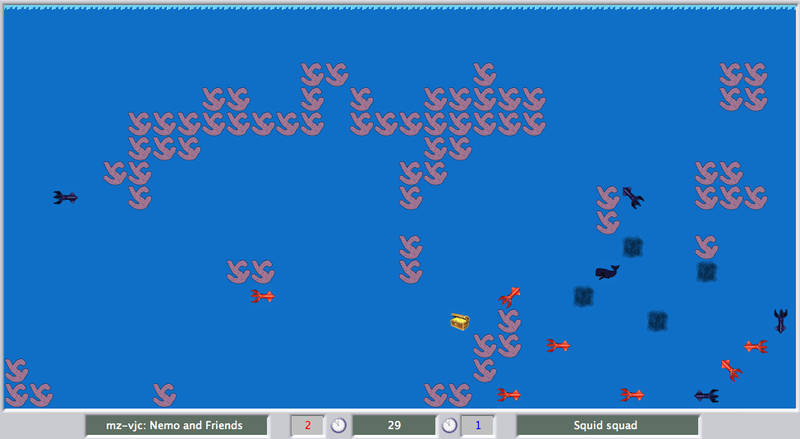 The game was 20,000 λ's under the Sea, in which two underwater teams of squids and whales, controlled by RCL threads, tried to collect as much treasure as possible. Teams could spend treasure to buy more bots. Squids could squirt ink to temporarily immobilize opponents. Whales could eat squid but had to surface to breathe. The winning team was Mohan Zhang and Vincent Chan. This semester the students implemented “Multi-Ball”, a modified version of the soccer game with players, goalkeepers, and two balls on the field. 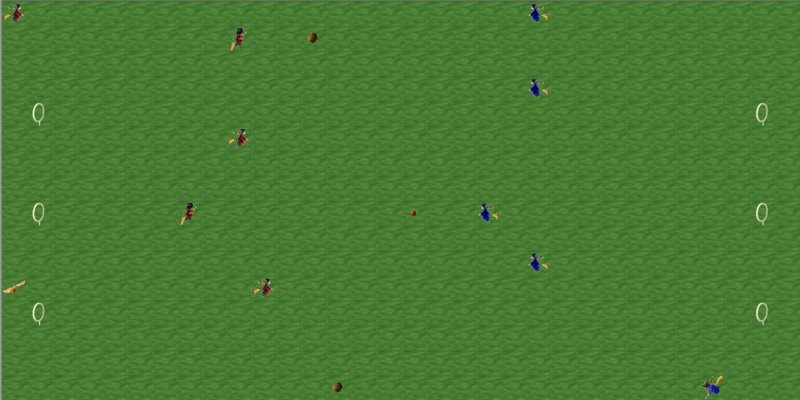 Players could capture, carry, and kick the ball. Capturing enough randomly appearing powerups allowed teams to add new players. 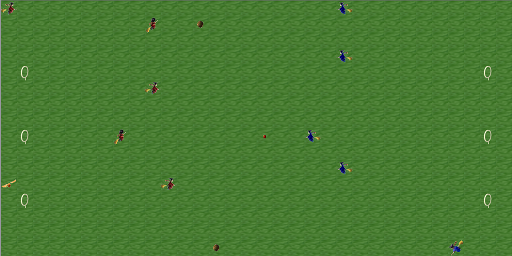 The actions of each player and the movement of each ball were implemented in a concurrent functional programming language called CL. The previous assignment defined this language and students built an interpreter for it. The CL code controlling each player was fully executed on the interpreter. The team of Daniel Margo and Edward McTighe won the tournament. 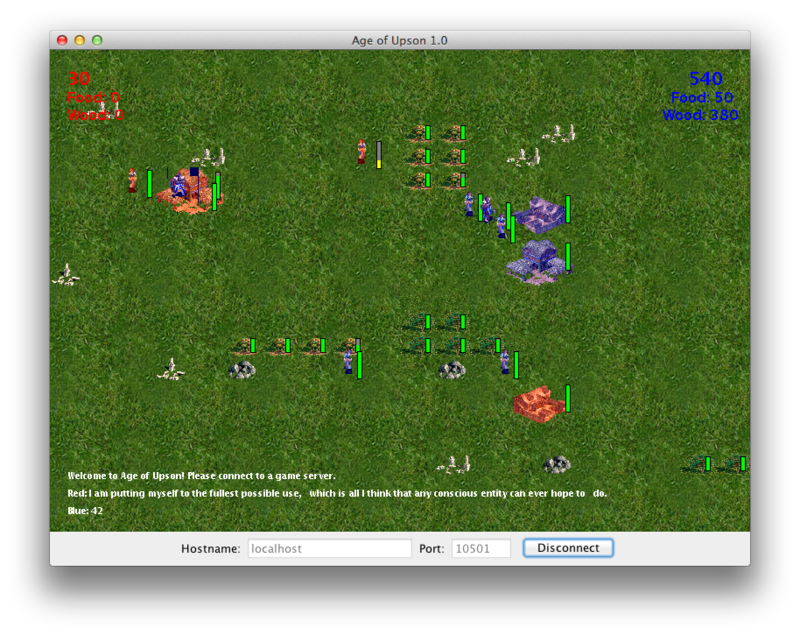 As in Spring 2003, the goal was to implement a set of robots using RCL. 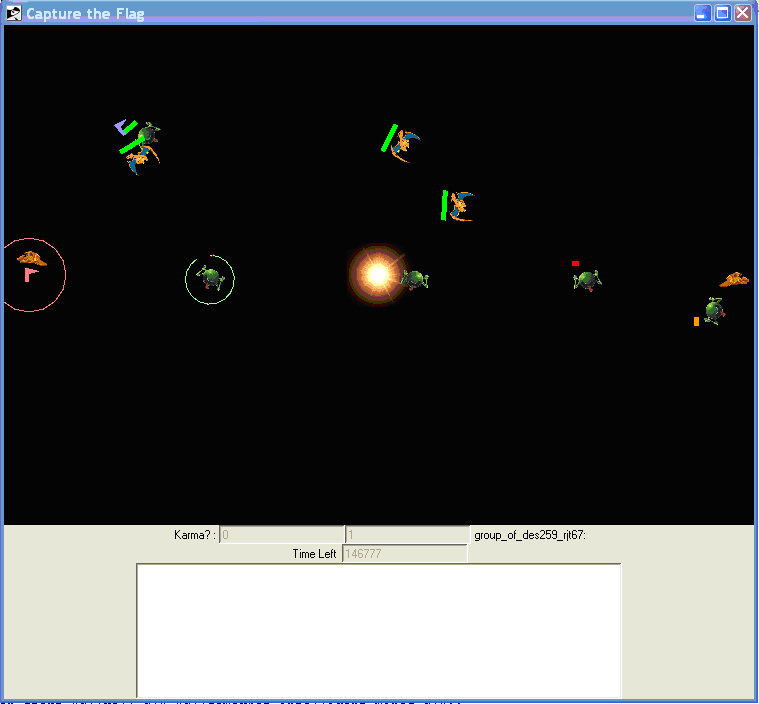 This time the robots played a capture-the-flag game. The robots were actually robotic sharks packing lasers that they could use to shoot at each other. 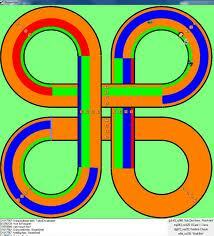 The board contained a maze that the robots had to find their way through. 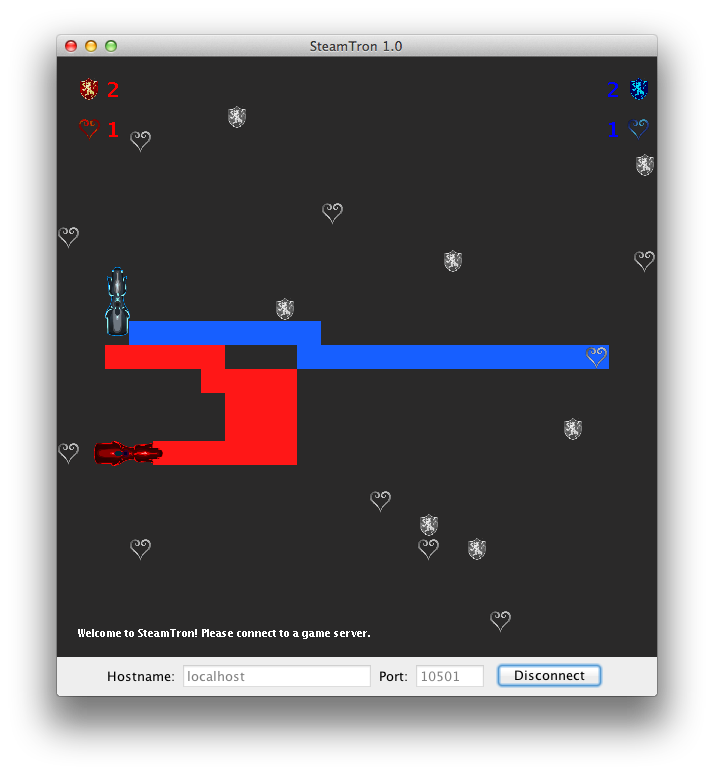 Picking up star powerups enabled the team to add more robots. The winning team was Justin Pease and Elliot Bäck. 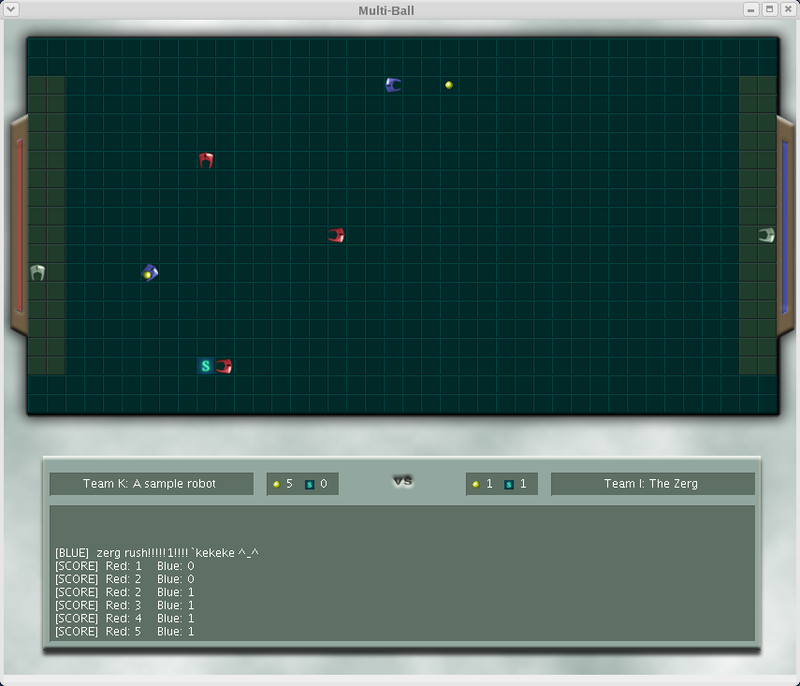 The goal was to implement a team of robots that could play a soccer-like game called "Lambda Ball". 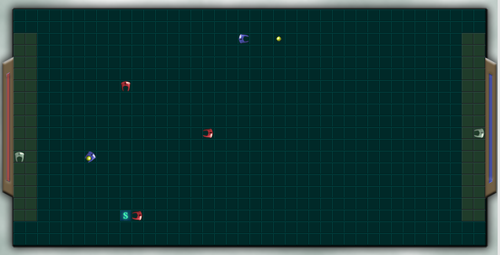 In addition to the ball, which robots could carry or kick, powerups would randomly appear on the board, enabling teams to create more robots or to go into overload mode. The board was a hexagonal grid with an interesting coordinate system. 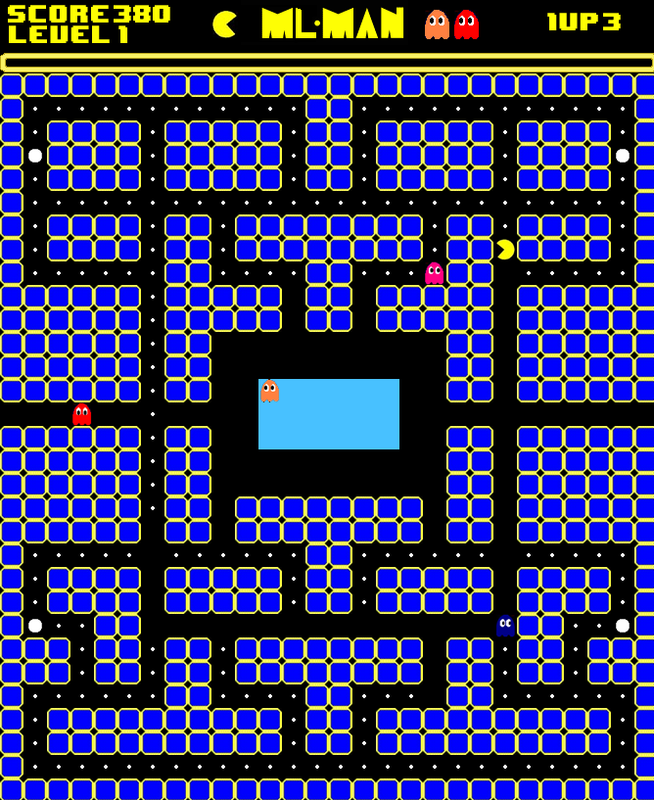 Robots were implemented in a special "Robot Control Language" programming language (RCL). 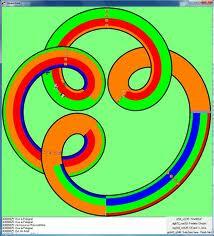 In a previous problem set, student groups had finished the implementation of the RCL interpreter. The winning team was Sanjeev Kapur and Ian Hall. The tournament game was the board game Pente. The goal was to produce a Pente player. Strong competitors implemented search algorithms that used alpha-beta pruning to search several moves ahead. The winning team was Oren Yeshua and Asher Walkover.